When Is A Ten-Year Mortgage Right for You? Several lenders offer a ten-year mortgage as their lowest available term. 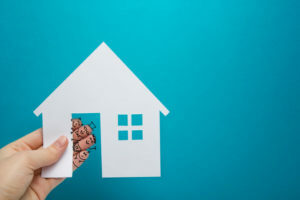 This means the mortgages taken out will be paid over the course of ten years versus fifteen, twenty, or thirty, on a schedule of regular payments in uniform size. While the payments for these loans are much higher than their traditional longer-term counterparts, the interest rates are amongst the lowest available on any fixed-rate loan in the industry. Loan 1 – 30-year fixed rate with an interest rate of 4.5 percent. Your monthly payments will be about $1,520. The total amount of your loan when interest and fees and computed in is an incredibly $547,220. That is an additional $247,220 in additional fees and interest. Loan 2 – 10-year fixed rate with an interest rate of 4 percent. Your monthly payments will be about $3,037. While this is much higher than Loan 1, the total amount of your loan with fees and interest rates computed only amounts to $364,482. This is $183,000 less than Loan 1, and only amounts to $64,482 in additional fees and interest. When deciding whether a ten-year mortgage is right for you, it is important to weigh the pros against the cons as they pertain to your unique situation. Much easier to default if an unexpected event happens, such as a medical emergency, loss of job, etc. Who Should Get A Ten-Year Mortgage? Experts say these forms of short-term loans work best for people who may be nearing retirement. These individuals are most often at the height of their careers, have stable incomes, and produce substantially more income than individuals in their twenties or thirties. Not only this but taking out such a small term loan between the ages of 45 and 55 can ensure the mortgage is paid off before retiring at age 65. With the home loan paid off, monthly recurring expenses will be significantly lower during retirement, when income will come in at a slower rate. With a lower cost of living, retirees can potentially stretch that hard-earned nest egg further by years. This is, of course, if individuals are able to continue saving in the face of such high mortgage payments over the course of a decade. This entry was posted in Blog and tagged Ten-Year Mortgage by Scott Li. Bookmark the permalink.